I was always fascinated by the subject of creating our reality. Despite being a grounded and scientific person by nature, there was something about those timeless stories such as Aladdin which spoke to me – the clear-minded, innocent archetype, whose wishes come true as if by magic. There’s a part of us all that lights up with these stories, that inner child aspect that never really went away. I don’t feel it was a coincidence that my first ever job was reviewing Aladdin for a newspaper – and now, well, here I am. Despite so many books written on the subject of creating reality and the Law of Attraction and things like that, the miracles and manifestations that were promised were still quite rare. I mean the big ones, on subjects that actually matter to us; like finding your soulmate, becoming wealthy, spontaneous miracle healing – rather than just finding a 50p coin or feather on the pavement every now and then. Through my work, I’ve met a lot of people trying to follow these varied philosophies and I have also got to know several of the authors writing these books. I wasn’t impressed. Their results haven’t lived up to the hype and I think you know what I’m talking about. Different approaches have come and gone like fads and people often end up feeling more miserable than before they had discovered these ideas! We all want the miracles instantly which is why the “three easy step” or quick fix approach to spirituality sell so well but rarely work. The human being is prone to procrastination and, dare I say, laziness at times. So, first of all, we must do the work of clearing the sometimes ferocious storms of the overthinking mind. Lighthouse, my previous book and workshop series, was about the clearing required to make way for the next step. As much as we’d all love to we can’t always jump to success in an instant. Practice and preparation is always needed. There was work to be done. This next stage was a whole miracle in itself. I had gone through true emotional turmoil and I had come out the other end. It was a joy to help others navigate through the same “storms of the mind”. Of course, my journey still continues in this area. Doing what I loved: I’ve facilitated hundreds of groups and talks, week in week out, demonstrating the effectiveness of my teachings. Along the way I attracted some very well known, house-hold name clients through word of mouth from others that I’ve helped. My work has been known as one of the best-kept success secrets amongst certain circles. I’ve had huge success in helping people to find peace wherever they are by helping them to realise that it is ok to not feel ok. I wrote all about this topic in my last book Lighthouse, but now there is more for me to do. For the first time in a workshop setting I will be sharing my newest and most powerful process at the Mind Body Spirit Festival in my workshop – “Success with personal development approaches for a life that works”. Authors like Neville Goddard appealed to me. There was something magical about his teachings and yet I couldn’t get his visualisation to work in the grand way that it had worked for him. Great teachers that I had met had predicted that I would – but as yet, it wasn’t happening. I had met very few people who it was working for. Something was up and I was determined to find out what that was. First, the process appeared. There is was in right front of me written on paper. I can hardly remember writing it down but there it was, written after returning from a retreat in Glastonbury that I was facilitating which had been particularly full of insights. A few weeks after that a significant manifestation happened. In fact it was one of those huge manifestations that you read about and wonder if it’s really possible. But here it was, right in front of me, and in my life – hot-on-the-heels of the process I’d just developed and practiced daily. This was the evidence I was looking for. So here I am, eager to share this process with you and I am so excited about the incredible peace of mind you’ll fine and that improvements that will occur in all areas of your life. This “secret” process is what I will be sharing with you in my workshop. I’m still working on it and don’t plan to share it in its full form until the workshop later this year. I’ll see you there. 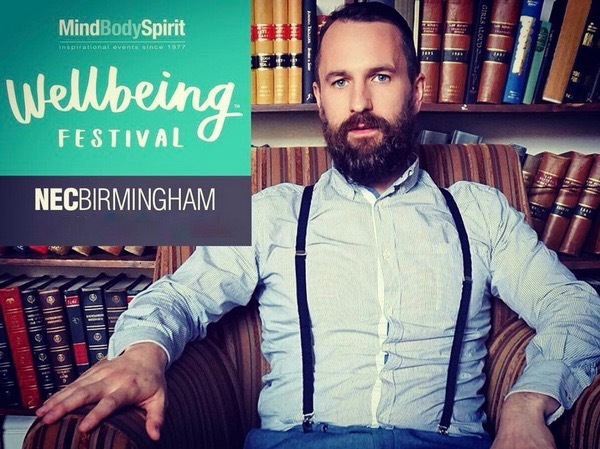 Michael presents this workshop at the BIRMINGHAM MIND BODY SPIRIT FESTIVAL on Friday November 2nd . To book your place click here.